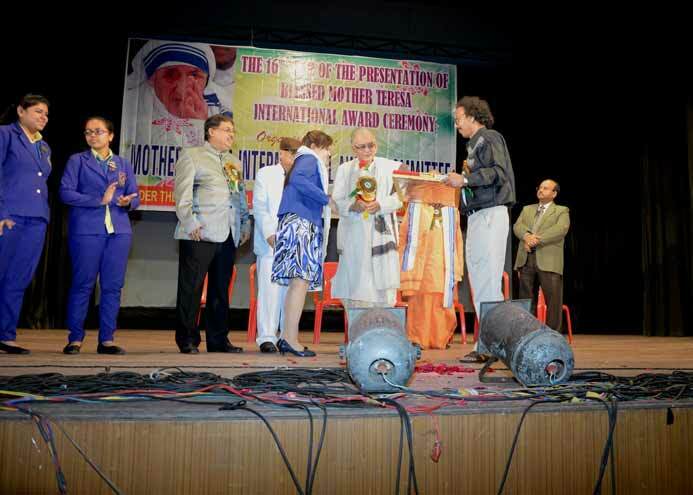 "Joy is prayer, joy is strength, Joy is the net of love by which you can catch souls" said by Mother Teresa and it was the same joy that was experienced by everyone present at the 16th year of the presentation of Blessed Mother Teresa International Award Ceremony organized by Mother Teresa Committee. The programme was held on Saturday, 30th January, 2016 at Eastern Zonal Cultural Central Auditorium at 5 p.m. The chief guests invited were Justice Altamas Kabir, Justice Shyamal Sen, Rt. Rev. Bishop Thomas D'Souza and Mr. Anthony Arun Biswas. The inauguration commenced with the lighting of the lamp and was followed by the National Anthem. An audio-visual clip was played of the funeral of Mother Teresa as a tribute to her. Next was the melodious choir from the students of the blind school and an enthralling dance performance by the Methodist School. 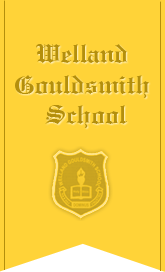 It was a moment of great pride and joy when our institution, Welland Gouldsmith School received the Best School of the Year Award 2015 (I.C.S.E). Other awardees included famous personalities like Rattam Lal Hangloo from the field of education, Mrs. Gouri Ireland for Social work, Mr. Himangshu Goswami and Mr. Chiranjeet Chakraborty from the fields of Culture, Mr. Bir Bahadur Chettri – Hockey and other industrialists, politicians, physicians, media and journalists. After the award distribution ceremony a breath taking Bharat Natyam performance and melodious songs by the All India Youth Choir was performed. Our joy knew no bounds when we, students of Welland Gouldsmith school , went up to the stage to receive the prestigious award. Since our Director and C.E.O., Dr. Ms. Gillian Hart could not attend the function, she was represented by our Head Mistress, Mrs. L. Jackson who received the award on her behalf. We acknowledge our thanks to the Mother Teresa Award Committee for organizing the programme and encouraging different schools and colleges. We also bow our heads in gratitude to the Lord Almighty for showering upon us His love and pray that He will continue to guide us in continuing His work.